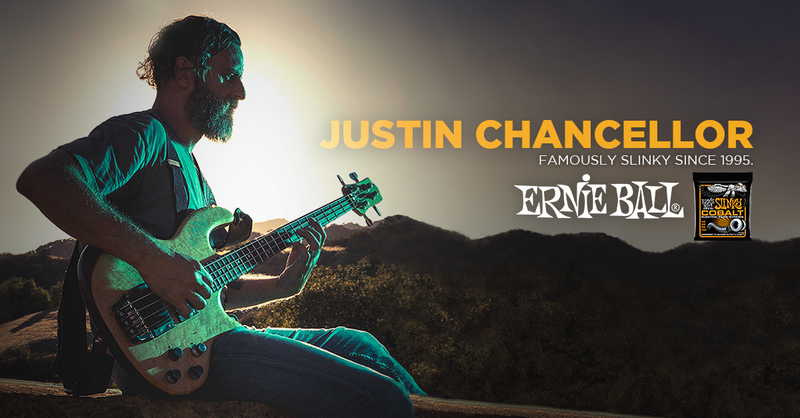 Justin Chancellor, bassist for the notoriously media-silent band Tool, recently sat down with us for an episode of our web series, Ernie Ball: String Theory. The entire episode is an incredibly rare look into the history and personality of a musician with deep talent. Here, we present to you the six biggest things we learned about Chancellor, his playing and his background throughout the episode. We’ve provided the timestamp for each segment as well, so you can follow along. He goes on to elaborate on how playing bass in particular is a much more natural form of communication for him. The school that he was attending at the time offered a course teaching music, including the guitar. He vividly recalls playing a C chord and thinking, “I can do this.” He received a guitar of his own a year later. He finds inspiration for song rhythms while out in nature, in his footsteps, breathing patterns and heartbeat. Being able to play things differently every night, in addition to making different mistakes every night, are important to him. He has even stumbled on particular things that he wished he would have played on the studio recording. He says he was afraid to step outside of approaches that he already knew worked. He’s now getting back to being excited about the instrument and the various sounds that it can potentially create. He found himself feeling surprised that people enjoyed his bass playing, as he had no expectation whatsoever of being received that way. He advises musicians to find their own sound, and to let it out. Watch every episode of Ernie Ball: String Theory at our website, featuring such players as J Mascis of Dinosaur Jr., Kurt Vile, Joe Bonamassa, and more. 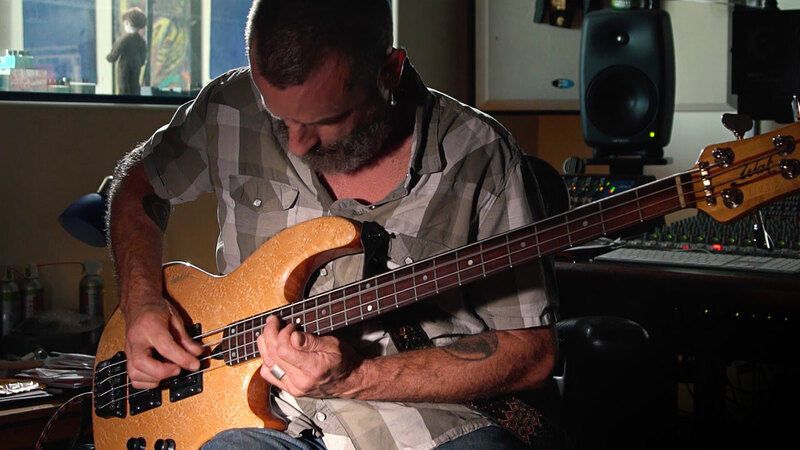 Justin Chancellor plays Ernie Ball Slinky Cobalt bass strings. Do you? Try a set.